In past posts, I’ve worried quite a bit about the penates. I may have to write this all up eventually as a proper article or something. I’m still working on Dionysius ahead of my Yale talk this coming Saturday. And, my work led me back to passage on the Penates in book 1. And I found this comment by A. E. Dumser on the aedes Penates on the Mapping Augustan Rome Website. 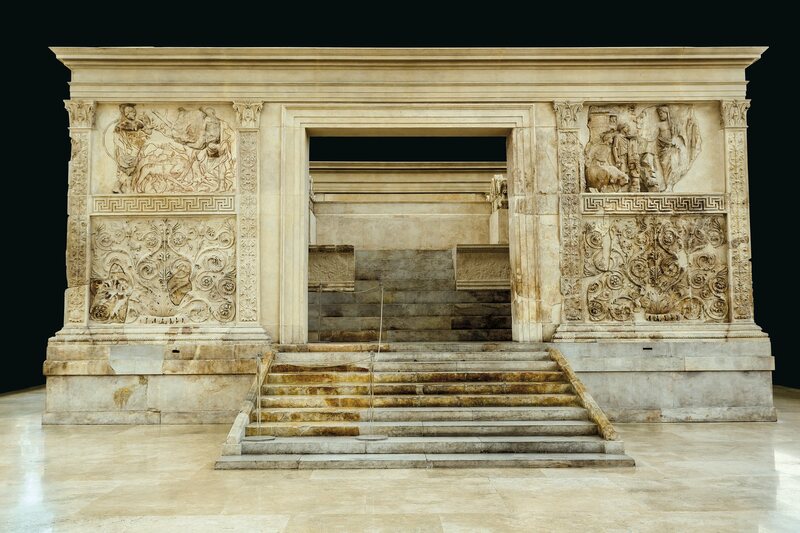 Notice the prominent placement of this panel and even the depiction of the Penates shrine itself in relation to the monument as a whole. 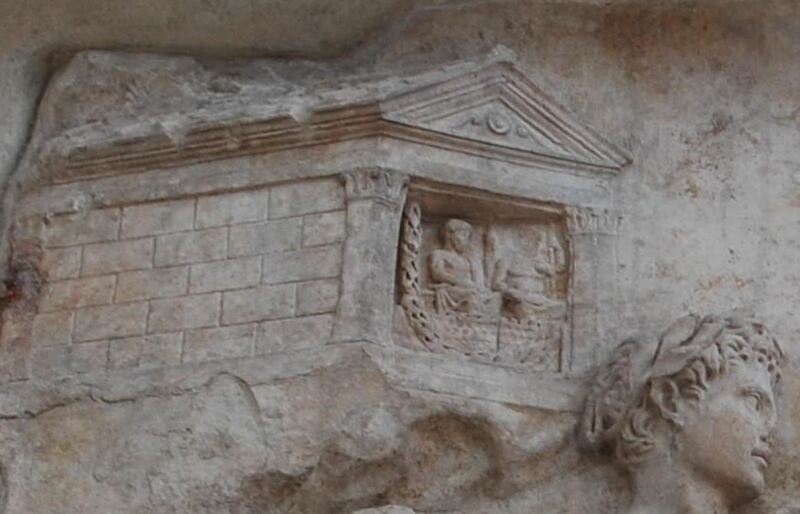 Aeneas’ piety is echoed by the piety of the those who are participating in the sacrifice at this very altar. M. Stöckinger, Inalienable Possessions : the di penates in the Aeneid and in Augustan Culture, p. 129-48 in Mario Labate, Gianpiero Rosati (ed. 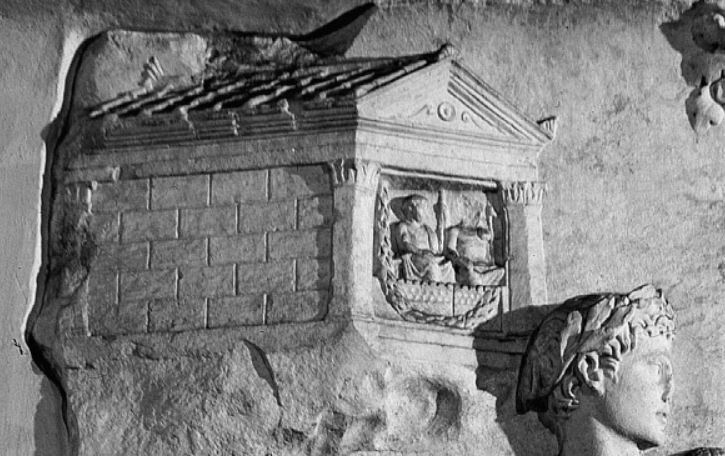 ), La costruzione del mito augusteo. Bibliothek der klassischen Altertumswissenschaften, Band 141. Heidelberg: Universitätsverlag Winter, 2013. ISBN 9783825361136. 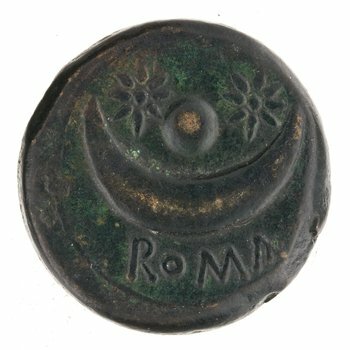 Roma Aeterna in the 3rd Century BC? Reverse of RRC 39/4. ANS 1969.83.100. I’m not endorsing (yet) this interpretation of the type, but it a sharp observation and a intriguing possibility I’d like to think about another day when I have more time! 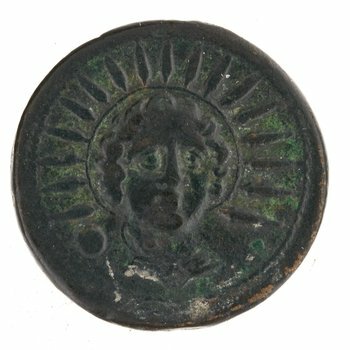 From a numismatic perspective one would have to also consider in this context all the other republican issues which juxtapose the sun and the moon: RRC 309/1, 310/1, 390/1, 474/5, and 494/20b. 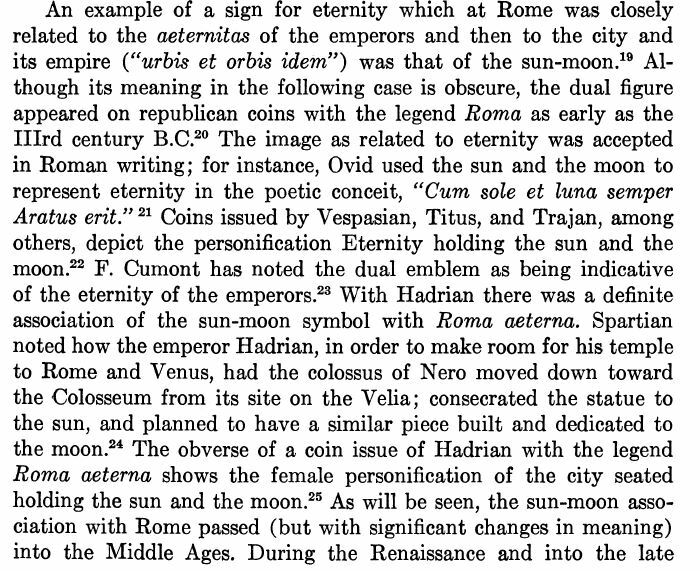 Dionysius’ reception of the concept of Rome as the Eternal City is some what problematized by his version of the Marcus Curtius story as preserved in the fragmentary books (14.11). He says Curtius had to throw himself into the gap to give Rome more strong young men. Livy’s version instead says the self sacrifice will result in Rome being Eternal (7.5). The date of book 7’s composition is debatable.